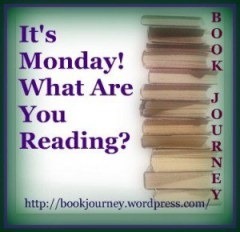 You are here: Home / 2015 / It’s Monday, January 26th, What are you Reading? It’s Monday, January 26, 2015. It is Monday, and you know what that means–Hosted by Sheila at Book Journey, Monday is a great day to take stock of what you’re currently reading. I like it because it holds me accountable. And, because I succeeded at the 120 books read in 2014 (via Goodreads), I agreed to read 200 in 2015—I’ve done it before, and for many years read at least that many, but life has come in the way. But, beyond that, I want to publish more reviews this year. I have so many that I’ve written that have not been transcribed. I have celebrated 4 full weeks of posting every day—I know that’s a bit crazy of a thing to celebrate, but hey, it’s 2015 and I love the idea of celebrating ANYTHING when it comes to books! What did I read this week? Click on the title to open the review link! I reviewed Big Little Lies by Liane Moriarty (and promptly picked up a few other of her books!). I started watching the tv show Blue Bloods (and a score of Hulu-based catching up) and then saw the movie Gone Girl with my husband. I have read 17 books so far this year—this is well on my way to the 200 I hope to read this year! Not sure what all those slashes are for in my Silver’s Reviews. LOL!! I have been wanting to read Liane Moriarty! Murder At the Academy Awards looks like a fun mystery.